Our commitment to quality means that every order is hand loaded into rock buckets or onto pallets to eliminate breakage and maximize your stone coverage. This means that you are only paying for the stone you ordered and not the trash rock and dirt under the pile. This is key loyalty that competitors do not do because they are more concerned with volume, rather than happy customers. We have a foreman at each one of our quarries. The foreman is responsible for checking each load for consistency of the quality, type of product being shipped, and scheduling of the shipment. He helps to ensure prompt and accurate delivery. Cobra Stone has sales representatives from San Antonio and Austin, and up to Dallas to ensure prompt speed in our customer service. We are capable of meeting customers on an hour notice to accommodate their needs in most cases. 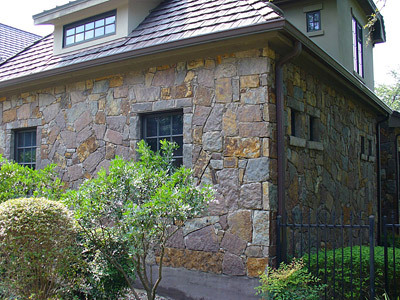 Each of our salesmen obtains extensive knowledge of the stone industry to assist you with your stone selection. Our friendly and knowledgeable office staff are available to assist you. They have been trained to ask the right questions for orders to ensure accuracy with each natural stone order.